Pink Ink and Polka Dots: My Very First Give-a-Way Starts Today! My Very First Give-a-Way Starts Today! Congratulations and thank you for the give away! I am a blog follower through Google Connect. I'm following your mommy blog! I also follow your mommy blog! I follow this blog too. I follow your blog. What a nice pink treat. 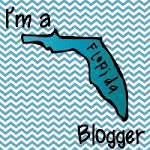 I follow your other blog too! :) You are too cute!